This news is a bit strange but up my alley due to my bodybuilding. That's right: I'm a muscle-headed dork. It seems as though Paul Rudd is now one too. During the filming of the not-yet-released Ant-Man film, the people fitting him for his costume have had to readjust their thinking due to Rudd's serious commitment to the gym. Co-star Michael Douglas said to MTV News: "Paul Rudd is ripped. He's been training and working out for this picture for a long time. He was so cut, that they had to soften his costume up, with all the built-in six-packs and all of that." Though the film is not set to come out until July of next year, we are beginning to get a decent stream of tiny tidbits of information. I am trying not to read too much about it because I want to be surprised. With all the director shake-ups that have occurred thus far, it feels like a miracle it got made at all, or at least in a way it might be good. Director Edgar Wright of Shaun of the Dead fame was attached for the longest time but left because of "creative differences," the equivalent of "irreconcilable differences" in divorce court. It's the PC way of saying they got into a fight about something and couldn't get it together fast enough or well enough to finish the film. This does not bode well for Ant-Man, but I think Rudd is an inspired choice for the part and I hope he slays it. I like the idea of Douglas playing the older version of the character from the '60s and Rudd as the one who takes over. That's pretty cool. 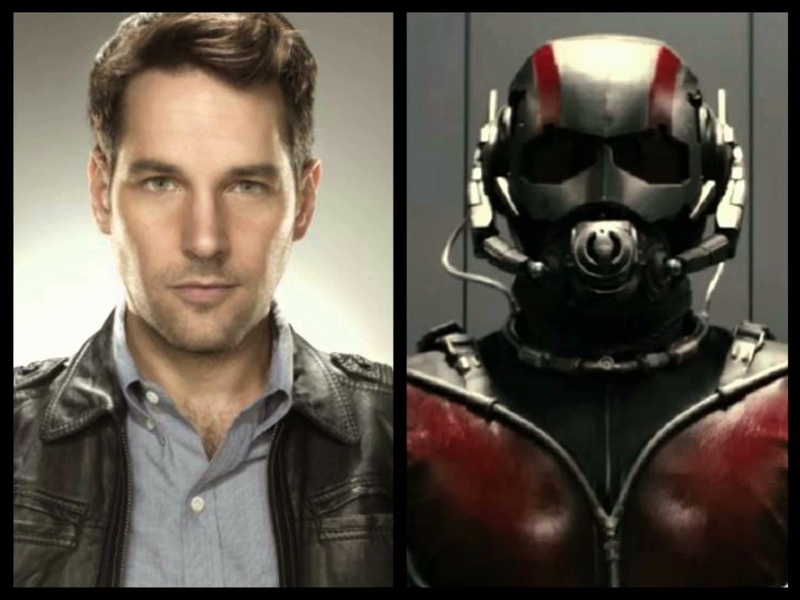 So will Paul Rudd be the next Robert Downey Jr. and take The Avengers into Phase 3 with a bang or a whimper? Sound off below.